Rejuvenate damaged hair with the Grow Gorgeous Rescue & Repair Shampoo; a lightweight, non-foaming formula that effectively cleanses and fortifies dry, weak strands from root to tip. Wet hair thoroughly before applying a generous amount. Lather and massage from the scalp through to the ends. This shampoo is sulphate free (yay for your hair!) so unlike traditional shampoos it shouldn’t foam. 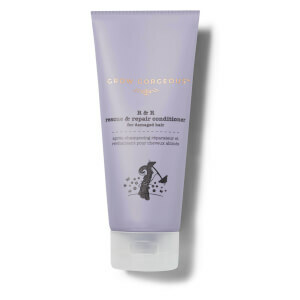 Rinse and follow with Grow Gorgeous Rescue & Repair Conditioner for best results. Smells so good! Love that it gives me a fresh feeling and does not weigh my hair down.